This new league is (at least initially) based out of Vacaville, and will offer people in the Sacramento area a league play option since the other two leagues, based out of Concord and Sunnyvale, are a bit too much of a drive. League play is as much about competition as hanging out and having a good time so I definitely encourage anyone who has ever thought about playing to give it a try. Below is information about the league provided to me by Damien Charlety, the league organizer. The Capitol Corridor Pinball league was created to give pinball fans from Auburn to San Jose a chance to test their skills in a fun yet competitive environment. The league meets every other Tuesday at 7:30PM. Each league season will consist of a regular season (where participants earn points), a playoff (to determine final rankings), and a celebration week (to hand out trophies). The “fee” to participate is $1 per regular season week (playoff and celebration weeks are free). The initial season consists of 11 weeks (8 regular season weeks, 2 playoff weeks, 1 celebration week)League meetings are in Vacaville, every other Tuesday at 7:30PM, and participation “fee” is $1 per regular season week. If you mean in the Vacaville/Farfield Area, that’s not my league. But yes, it’s still going. 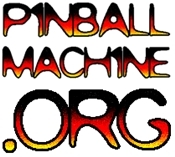 Do you still have your pinball league ?